Former Into Paradise frontman David Long shows no sign of halting his prodigious musical output but he does make an all too rare return to the live scene tomorrow week for a solo acoustic show in Whelan’s. We have no idea if he will revisit the back catalog of the much loved band but were he to do so it might sound like this. The ever reliable Blackpool Sentinel yesterday published another excellent read on local favourites Into Paradise. As serendipity would have it we also just received a recording from Colm in Arklow of a session previously posted but now with better audio so we’ve decided what the heck. 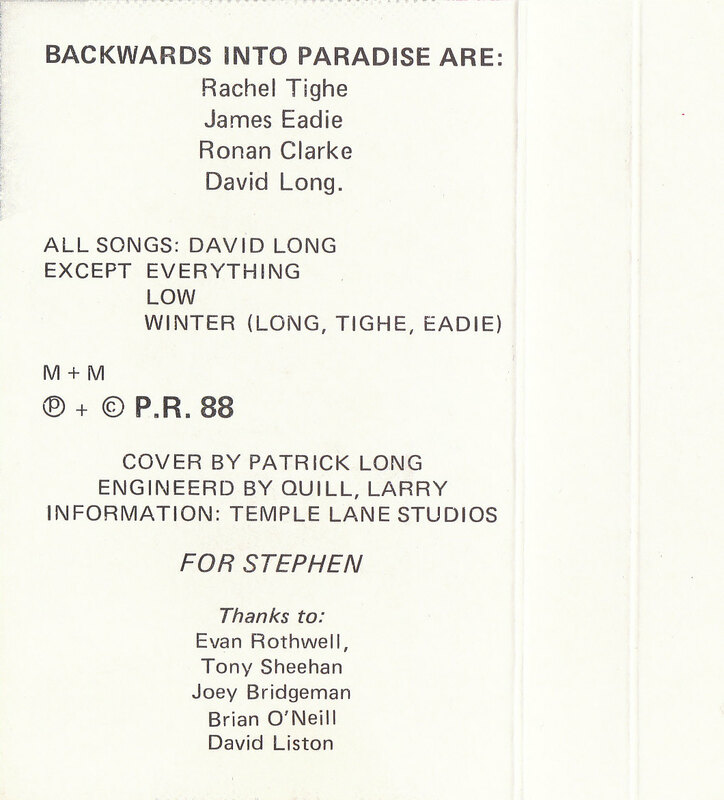 The session recorded for Dave Fanning on Jan 13th 1986 featured 3 further tracks which we’d love to hear – ‘Alone Again’, ‘A Good and Honest Man’ and ‘John’. Incidentally does anyone recognise the guest host sitting in for Dave? We have it on good authority that it could be Fachtna O’Kelly but stand to be corrected. Update: Thanks to Colm we have a further track. Nigel Grainge was the founder of the Ensign Records and the man responsible for launching the careers of a host of bands many of whom were from these shores; Sinead O’Connor, The Boomtown Rats, Thin Lizzy, The Waterboys, Into Paradise and Stump!. He died on 11th June 2017. Tonight at 11pm on Dublin City FM Paul McDermott will pay tribute by playing many of the acts Nigel signed interspersed with an interview Paul conducted in 2015 when working on the Stump! documentary ‘Lights! Camel! Action!‘. 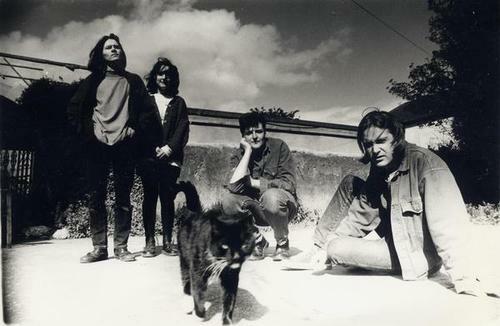 Check out also this 1991 Hot Press interview by Liam Fay. That interest came from a London-based Dubliner who was looking for Irish bands to sign to his new independent record label. 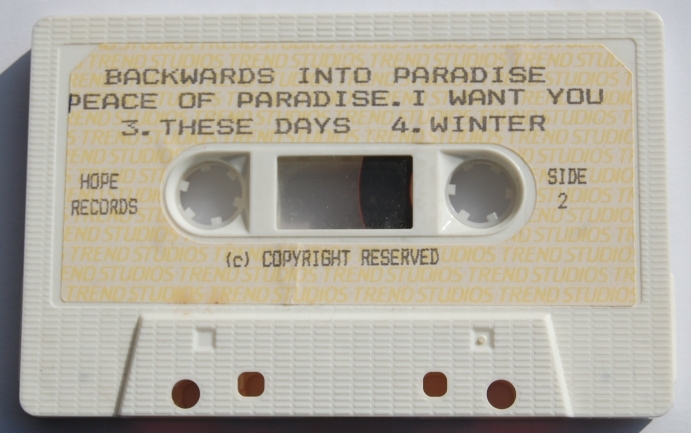 David says: “Keith Cullen from Setanta went into Comet Records in Dublin and bought a DIY cassette of our music. The cover had a photo of a girl and a building. He rang me up to say he was interested in signing us to this new label called Setanta. Then he rang back two weeks later to say he was going to get Adrian Borland from The Sound to produce it. I couldn’t believe it. David has fond memories of the period in Dublin in the late 1980s when so many good new bands emerged. “When I was 17 or 18, me and Shane O’Neill from Blue In Heaven used to go to a place called The Magnet Bar on Pearse Street,” he said. “They used to have The Bodice Gigs where The Blades, Microdisney, Nun Attax, Chant Chant Chant all played. It was a brilliant scene. David’s album ‘Water Has Memory’ is available on iTunes or at Tower Records. Keep up to date with his activities via the Into Paradise facebook page. 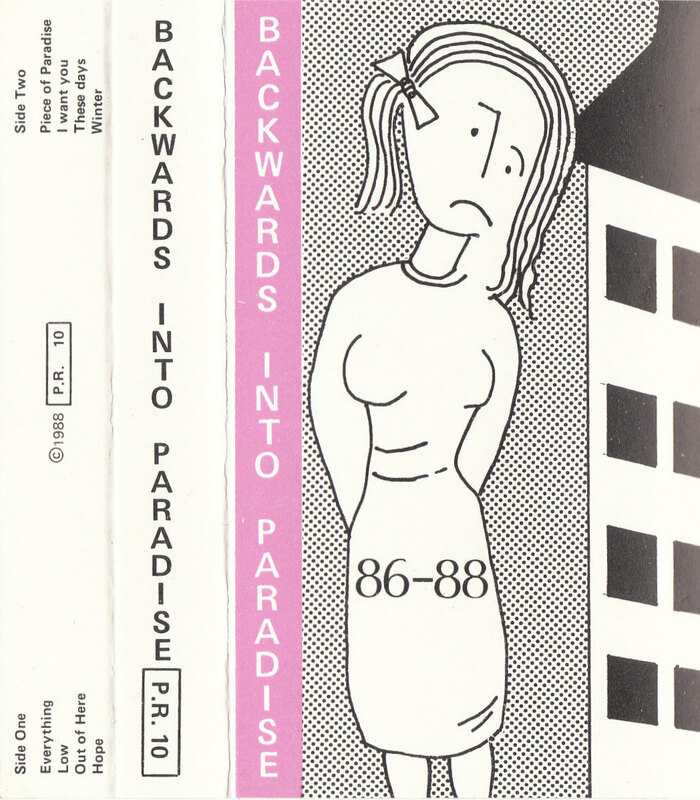 We’re big fans of Backwards Into Paradise round these parts so you’ll have to excuse a fourth post featuring that band. 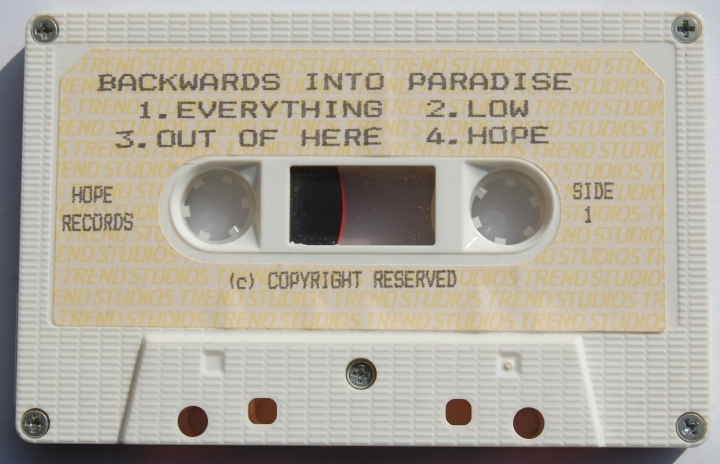 This time it’s from a “session tape” as announced by an as yet unidentified announcer. I think you’ll agree that despite the audio quality it’s impressive stuff. Thanks again to Ken for this one.